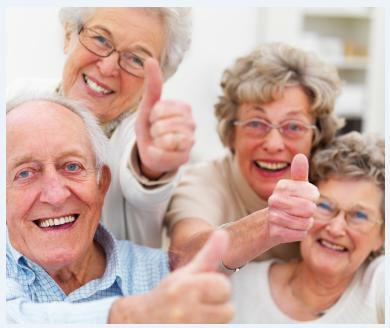 Like individuals of any age, seniors can thrive on fun – events and activities in their lives that re-charge their internal batteries and remind them that in the midst of medication, aches and pains and reduced mobility, there are still plenty of good times to be had. While some activities may be more difficult than others for seniors to partake in, due to a wide variety of issues associated with getting older, there are just as many fun things to do that are tailor made for a community’s elderly population! Communities across the country offer bingo and similar group games in settings ranging from community halls to senior centers. These group games can offer a chance to get out of the house and not only keep the mind sharp by hunting for “B-52,” but are also a great opportunity for interaction with other seniors. If transportation is a concern, consider scheduling in-home care shifts so that a caregiver can drive to and from the event, using tasks within the agency’s home care software or home care software as a reminder of this evening on the town. A night, or afternoon, at the “movies” may be a fun event for senior film buffs. Look for senior film events at your local senior center, or arrange a movie viewing at home. Invite family or a couple other senior friends over to watch an old classic, or new release and enjoy some social time – or simply a quiet time with a loved one or caregiver- to soak up a little entertainment. Ask your homecare provider to make a note in their homecare software or homecare system to help prepare some special snacks, like popcorn or a favorite candy treat to add to the special occasion. Many seniors feel that even with reduced physical capabilities, they still have something to offer to the community; be it time volunteering to spruce up dolls for a local thrift store or helping a non-profit by making phone calls to coordinate volunteers. If seniors have the desire to volunteer, help them to find a charity that may be able to use their talents and abilities. Time outside can work wonders for the moods of seniors who rejuvenate in the fresh air and sunshine. Help a senior loved one to establish a raised planter box they can easily reach to plant and harvest, or plant some pots of flowers together to spruce up their porch. Looking after growing plants can be a long-term commitment for seniors to look forward to as part of their daily routine. And with the help of a homecare agency managing tasks through homecare software or a homecare system like ClearCare, you can be sure that caregivers will help keep the hobby going. Socialization can be a challenge for seniors living at home independently. However, regular “Coffee Dates,” with other seniors can be a welcome chance to visit with other people their age and create a regular event to look forward to. Look for already scheduled events with your local senior center, or consider helping your loved one organize a special time with their other senior friends. Homecare software or homecare systems, like ClearCare, can also help ensure that a caregiver is available to help with transportation when driving is not an option for seniors. There’s no question, that staying active and having fun is an integral part of maintaining a senior’s overall well-being. With a little creativity, and the help of an elder care agency utilizing a homecare software or homecare system, like ClearCare, there are a wealth of activities to help keep seniors active. Have you found any ideas that sparked senior interest? If so, leave us a comment and share your ideas!